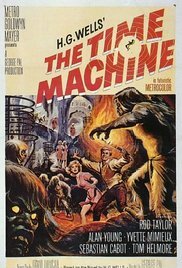 In the Golden Age of science fiction films came into their own. Many films were low-budget B-movies, but there were a significant number of successful films with big budgets and impressive special effects. 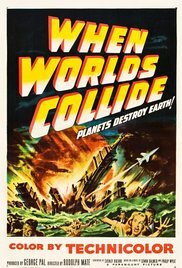 Producer George Pal created Destination Moon (1950), When Worlds Collide (1951), The War of the Worlds (1953), and The Time Machine (1960), all of which won an Academy Award for Best Visual Effects, which demonstrated the increased technical excellence and critical recognition of the genre. After their latest rocket fails, Dr. Charles Cargraves and retired General Thayer have to start over again. This time, Gen. Thayer approaches Jim Barnes, the head of his own aviation construction firms to help build a rocket that will take them to the moon. Together they gather the captains of industry and all pledge to support the goals of having the United States be the first to put a man on the moon. They build their rocket and successfully leave the Earth's gravitational pull and make the landing as scheduled. Barnes has miscalculated their fuel consumption however and after stripping the ship bare, they are still 100 lbs too heavy meaning that one of them will have to stay behind. The final credit for Destination Moon reads "This is THE END..Of The Beginning." South African bush pilot and carefree ladies man Dave Randall finds he has been let in on the greatest and most terrible secret in the world when an eminent astronomer pays him to deliver some mysterious photos from to an equally prominent colleague in the US. The recipient, Dr Hendron, confirms the awful findings of the sender: the star Bellus will collide with Earth, destroying our planet. 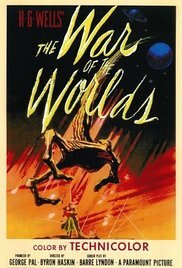 Despite widespread disbelief, Marston and Spiro, a pair of millionaire philanthropists, give Dr Hendron all their assets to begin construction on a huge rocket ship that will, at least theoretically, transport a nucleus of survivors to Zyra, a planet which orbiting Bellus that may or may not be habitable. 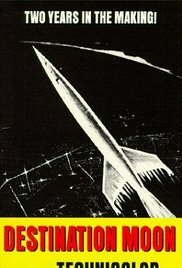 The funds aren't enough to complete the spaceship, and Dr Hendron solicits a contribution from tycoon Sydney Stanton, a wheelchair-bound old man who, unlike the selfless Marston and Spiro, demands a place on the rocket, even though space and weight will be too precious for anyone but young, skilled men and women. Even as doomsday approaches, Randall is surprised to find himself in a love triangle with Dr Hendron's daughter and her fiancé. Humanity is in peril, and only a modern-day Noah's ark, and the continued need of a man for a woman, can save it. Scientist Clayton Forrester and Sylvia Van Buren are the first to arrive at the site of a meteorite crash. Soon after, an alien war machine emerges and begins killing at random. The Marines are called in, but they're no match for the aliens' force field. The Martians unchain a direct assault to our planet, with hundreds of invulnerable ships. On January 5, 1900, a disheveled looking H G Wells - George to his friends - arrives late to his own dinner party. He tells his guests of his travels in his time machine, the work about which his friends knew. They were also unbelieving, and skeptical of any practical use if it did indeed work. George knew that his machine was stationary in geographic position, but he did not account for changes in what happens over time to that location. He also learns that the machine is not impervious and he is not immune to those who do not understand him or the machine's purpose. George tells his friends that he did not find the Utopian society he so wished had developed. He mentions specifically a civilization several thousand years into the future which consists of the subterranean morlocks and the surface dwelling eloi, who on first glance lead a carefree life. Despite all these issues, love can still bloom over the spread of millennia.